Description: "This is a new VR system that I designed. I ask that you test it." In this quest, you have to go through the areas with Break and Orland and clear VR Temple safely. Upon completion, you will get to download Episode 3 "Anticipation of the Future" quest with Break and Orland or "Bullet of Future Assassin" quest with Kireek. Which quest you will get to download will depend on what you do in this quest. You will need to do all the stages really fast since you are timed. How well you do will earn a rank based on your time. To get an A rank, you will need to do each part under 10 minutes. 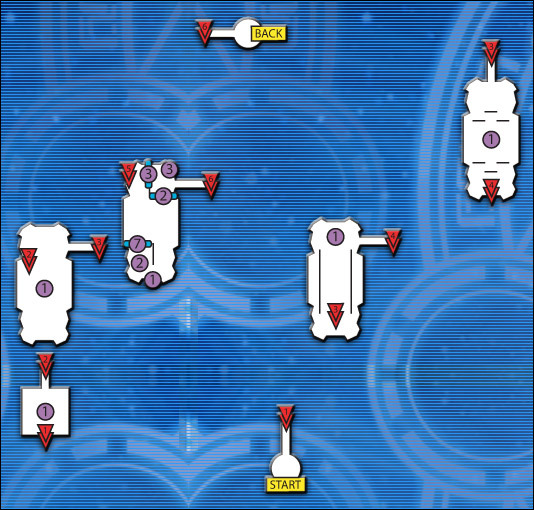 You will have to score A rank on all the three stages for the Break disappearing event to occur after Stage 4. 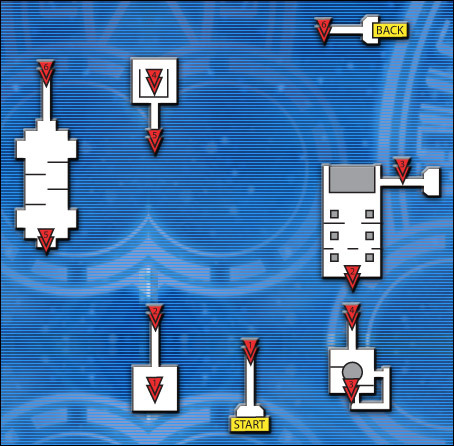 In Stage 4, Crimson, you will have to fight Barba Ray. If you answered the right questions and got A rank for all 3 previous stages, an event with Break will take place. Break disappears after touching a mysterious triangle. Orland then gives you a menu option, top: "Save Break" and bottom - "Back to the Lab". Select the top option. You will then have 10 minutes to find Break in a slowly disintegrating VR field.Then, you will face off Gol Dragon. When you defeat him, there will a final concluding scene. As mentioned, you will be asked certain questions in this quest. How you answer them will affect which Episode 3 quest you will get to play You can do two runs, doing one variation of answer and then the other to get both "Anticipation of the Future" or "Bullet of Future Assasin." Answer the 1st question with the the upper reply(with the ??? at the end) - "Were they really around, I wonder??" Answer the 1st with the lower reply (with the !!! at the end) - "Yes, they really existed!" Answer 2nd question with the upper reply - "Yes"
Receive Key Item for "Anticipation of the Future"
Break touches a glowing triangle and disappears. Select option to save Break. Look for Break in under 10 minutes. A warp will then appear. Return and warp back to the lab to meet Nef in the hospital Fight Gol Dragon. Watch conclusion scene. Receive Key Item for "Bullet of Future Assassin"
The star denotes the point at which you'll be separated at. From there head on to Stage 1 then 2 then 3. 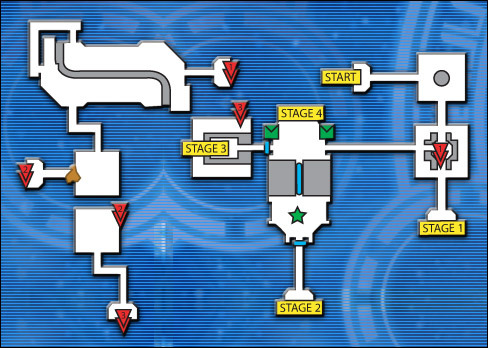 Once you clear all 3 stages, you will then be able to proceed to Stage 4.You will then have to defeat Barba Ray. This is Stage 1 or the Rush Stage. Enemies will appear continuously. This is Stage 2 or the Labyrinth Stage. 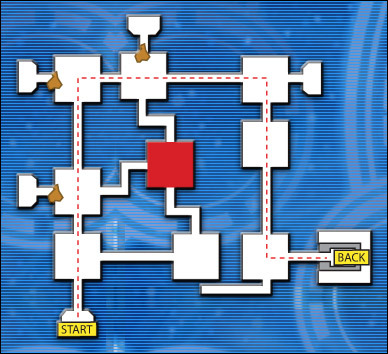 This is a maze type map. The shortest route on the map is shown by the red dotted line. The red room in the center of the map will decrease your HP slowly.